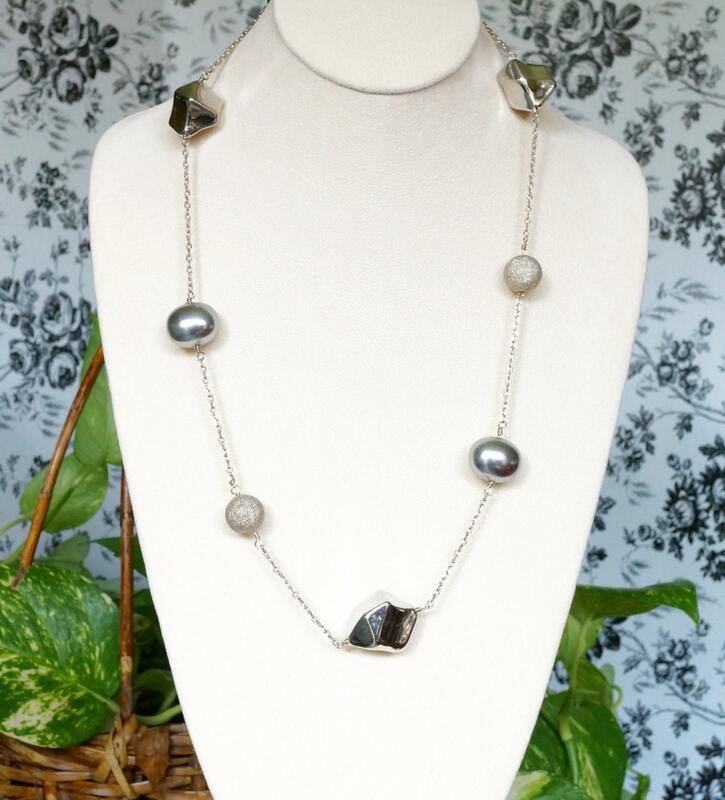 Here you have a sterling chain necklace with a variety of stations: silver plated plastic nuggets, silver plated stardust rounds, and grey shell pearl ovals. 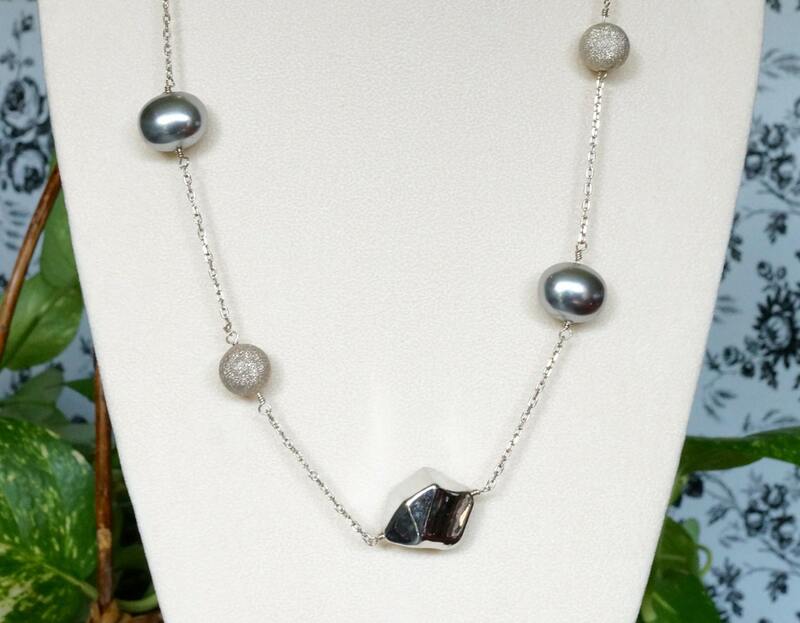 It measures 35 inches, with no clasp. It is lightweight.